We are open! Contact us to book a room now. Kimberley Grande is famous for its typical pleasant outback hospitality. Our aim is to ensure your stay with us is a highlight of your Kimberley experience. Our 72 rooms are very spacious, stylish and modern, all fully equipped with air-conditioning, and an abundance of natural light. Outdoor seating is provided to enjoy the full beauty of the Kimberley outback and our resort in which our beautiful gardens and palms surround our swimming pool. Kimberley Grande also has 5 luxurious spa suites. Our guests can indulge in the exquisite dishes at our onsite restaurant indoor or in our courtyard. Alternatively, guest may choose to eat by the pool, our outside front deck or in the Sports Bar with its multiple large screens and range of local and international sports. Onsite parking available for guests extends from just cars to those with camper trailers or motorhomes. Airport transfers are available. Tour desk on site. The suites of Kimberley Grande offer the ultimate experience – an oasis of tranquillity and is the ideal space to relax and reflect on your Kimberley journey. Here all needs are anticipated and include individually controlled split cycle air conditioning, wifi connectivity and a fridge, a spacious bathroom with spa bath and a king bed with fine linen. The suites open onto the resort’s gardens and swimming pool, and Kimberley Spa Suites have parking directly outside the front door. King sized rooms capture the Kimberley's sense of 'place and space,' spacious and comfortable with modern decor and furnishings. All rooms feature a king sized bed with fine linen (with option for twin bedding) and a spacious ensuite. Relax under the individually controlled split cycle air conditioning and ceiling fan, and enjoy the wifi connectivity. 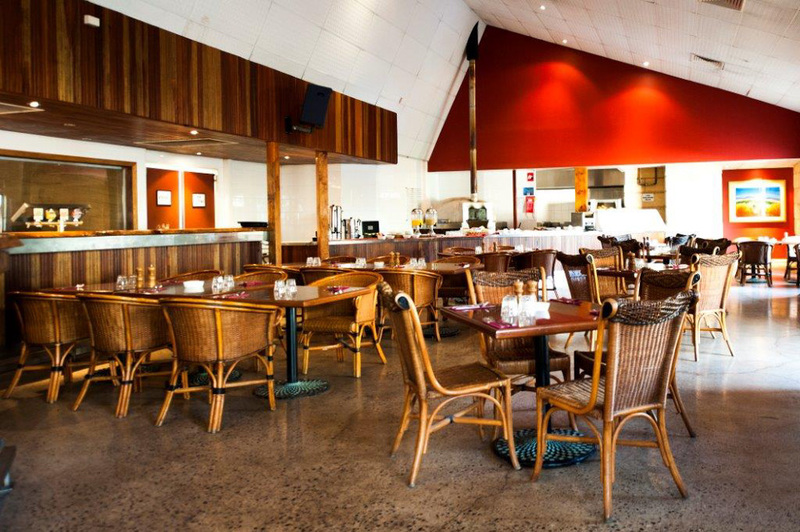 As Kununurra's premier resort hotel, Kimberly Grande also services business travellers to the Kimberley. Our spacious, comfortable and modern King Corporate Rooms also feature high-speed internet access and work space. 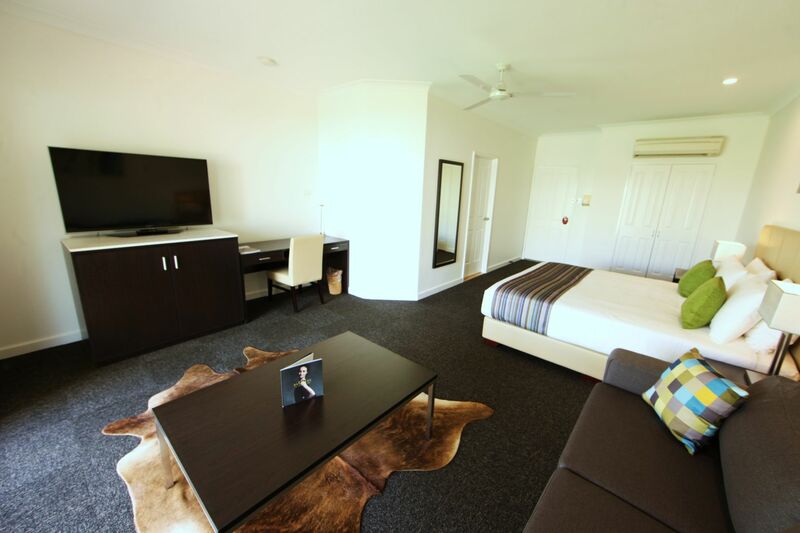 After using our conference facilities and meeting rooms, or even venturing out into the ancient landscape of the Kimberley with your colleagues, return to the comfort of our king sized rooms. We offer a paradoxical mix of work and adventure; retreat and high-speed connection to the rest of the world. Ask us about our ground-level Garden / Pool View rooms with disabled access, connected with sealed pathways to all of the site's facilities. These rooms have entry via sliding doors and ramps and are designed for easy manoeuvrability. Bathrooms have a wheel-in wet area shower, shower seat and grab rails.